Anyone who has traveled and used their smart phone will already know about this huge issue. I you have already received a bill for the time you used while out of the country then you know it is expensive. If you have not received your most recent bill yet, that covers the time you were out of the country when you used your phone you could be in for a big surprise. Travelling with Smart Phones can keep you connected, but watch your phone charges. Roaming charges for both voice, text and data are incredibly high for anyone without a roaming plan outside their home country. The charges can be as much as $3.00 a minute or more in some cases just for voice calls. This can add up very quickly even if you are on a 10 minute call and will spend $30 for that call. Many customers will turn off their data plans while they are traveling just to protect themselves from data charges. Even if you are not checking for email, your smart phone can be checking for up dates, syncing and receiving alerts to the various apps that you have on your phone. All of this data adds up and can amount to a significant charge if you are not careful. Text messaging is the same. Most smart phones do not let you block the text messaging service. You have to call the carrier to stop the service from sending text messages to your phone. If you open them you will definitely be charged at international rates which can again be very expensive. Check with your carrier to find out just how expensive they are. Some will levy charges just for sending them to you even if you do not open the message. Many customers will purchase a local prepaid phone in the country they are traveling in. Although the per minute charges are higher than what they might currently be paying for their service in their home country , the rates for prepaid service are often much lower than roaming rates. You can do all of the same things you do on your regular phone depending on the phone and the prepaid package you subscribe to. Text , voice, and data are possible, although if you are traveling for a short time, voice and text messaging are probably ok.
Free WiFi sites are becoming more and more predominant and these sites are great to sync up and check emails, markets , apps such as Facebook, twitter etc. You can use your existing smart phone in most cases if it allows wi-fi connections. Again do not forget to shut off the data when you leave the wi-fi site to avoid a nasty surprise. Each time you change countries, you need to pay attention to these issues. Traveling in North America, you only have to worry about Canada, the US and Mexico. However in Europe you can travel across several countries in several hours, so keeping track of mobile phone plans can be difficult. Again buy a phone that is prepaid and covers the countries you are traveling in. Only buy enough minutes for what you think you will need. You can always top them up if you need more. 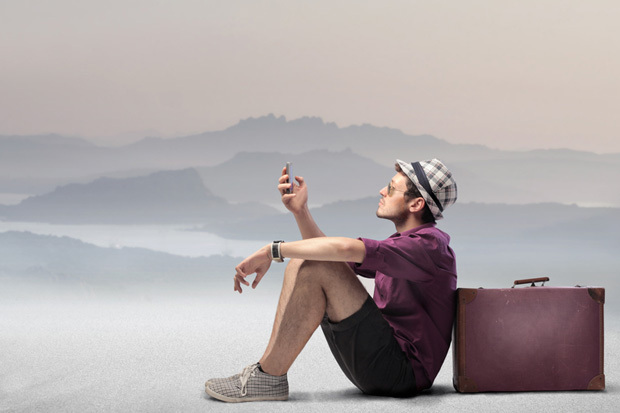 We would love to hear about your experiences traveling with your mobile phones and smart phones. Any tips and tricks that you can pass along will be much appreciated. For more details about smart phone security, click here. Smart Phone Security, can include were someone hacks into your smart phone and takes over your phone, or someone stealing your phone. This post is about the type of Smart Phone Security when someone steals your phone! A good friend of mine was walking down the street the other day reading her email or sending a text message. I know you are not supposed to that. There has been all kinds of reports were people have hurt themselves walking into objects and other people. They even walk into the middle of the road and are hit by cars. That is actually another reason for not doing this sort of thing, but this post is focused on Smart Phone Security. Anyway she was walking along, not really paying attention to what she was doing. Suddenly a guy walked up beside her and grabbed the smart phone out of her hands. Easy to do since she was holding it loosely while pressing the keyboard as she was preparing to send a message. She has a lot of apps on her Smart Phone , however they all have auto sign on turned on. Yes, her bank information, her credit cards, Paypal, Skype and much much more. Worse her phone was open and turned on because she was using it. Easy for someone to keep using the phone until the battery wore down, accessing her bank account and other applications that she has on the phone. We used to be worried about losing our cell phone and someone racking up huge long distance charges. You still need to worry about this, but even more important is the applications we have on these Smart Phones and the damage someone can do to us financially. And I am not even mentioning the wireless transfer of funds when you bump smart phones together! So How Do we Avoid Smart Phone Security being jeopardized? If your Smart Phone is stolen or lost, it still is a big loss, however not as big as you might think if your apps are compromised. Following the above steps will help to limit the loss of your phone. We will let you know the details of how the situation turned out in our next post, however for readers who do not have the time to come back next week, she did get her phone back in an interesting way. Another common method for smart phones offered by some carriers is that you can wipe your phone if it is stolen or lost. This is a good thing, assuming you will never get your phone back, however by the time you reach your carrier and have the phone wiped the damage will already have been done. Protect yourself by not using your phone when you are not paying attention to were you are going or in large crowded areas. We appreciate comments on this subject of Smart Phone Security as well as our suggestions to protect yourself. Please leave comments as well with additional suggestions that we can alert our readers to for improving their personal Smart Phone Security. For more on Smart phones and security issues, click here. Make your choice about buying a smartphone based on how you will use it, not on how it looks or what the most popular model is. This is a great statement, but really difficult to follow. It is like saying don’t be emotional about the car you really want to buy, even though it is too expensive for you. If you are in the market for a new phone, and are planning to move to a smartphone, you really have to decide how you are going to use it. Also were you are going to use it and what applications you will use to make sure you will get the value you are looking for. Smart Phone Buying is as complex as purchasing a computer that does many different functions. In fact the smart phone is a computer. Once you get past the price of the phone and many are free or almost free, it is the monthly costs that will really surprise you. Data plans can add up in a hurray, especially if you download a lot of material from Youtube and use GPS location services. If you roam , the cost can skyrocket, so it pays to think through this carefully before you buy a smartphone. The up-front prices of smartphones have dropped, and you can score even some of the newest models for free with a two or three-year contract. High end models can still cost a lot as well. But add-ons bump up the cost of ownership fast. Determine your price range for both the device, added memory, chargers, car chargers, transfer fee’s etc and the service before you walk into a store. Generally you’ll need a voice plan, a data plan and a text-messaging plan. To figure out what to buy, look at your old cellphone bills: How many minutes have you actually used each month, were they incoming or outgoing, what time of day did you make the most calls, and how many texts did you send? Do you send a lot of data, or is it just emails that you receive. Going over your plan limit is like an overdraft fee on a checking account — it’s an expensive mistake and a waste of cash. Also your plan may include added fees for call display, voice mail and other services that you routinely use. Make sure you have included all of these services when you are comparing a new plan and a new smartphone service to ensure that you receive good value for your phone purchase. One way to save money is to check out family plans, even if only one family member wants a smartphone. Some plans will let you share voice minutes without adding text messaging and data units to all the phones on the plan. That way, only one member of the family has to pay the additional fees — and the overall cost may be more reasonable. While this is a reasonable approach, it only works if you are able to and willing to speak to the customer retention group. Let them know that you are thinking about moving elsewhere and they may offer you a better deal. Timing your purchase can also pay off. Take advantage of the beginning of the school year, Christmas, the end of your contract and other special sales that the phone companies offer from time to time. If the competition is making a big play to gain customers, you may be able to leverage this into a better deal for you, while staying with the same company. 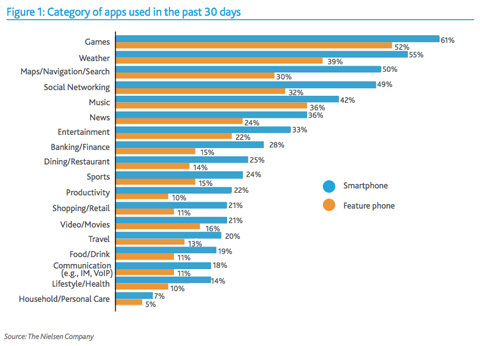 Other factors are also important when you choose a smart phone. Screen size can make the difference between enjoying movies and playing games a success. The bigger the better. Touch screen phones are really intuitive and easy to use. This is an important feature that you probably want to consider. 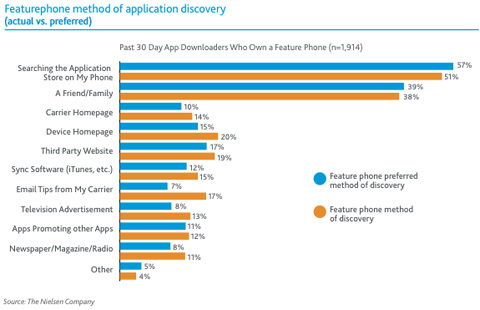 Applications are becoming as essential as the smartphone itself. Apple is the market leader with over 300,000 applications, but other competitors like Android are in full throttle and are catching up. Talk to friends and family, even strangers who are using the phone you are considering and find out if it is really the smart phone for you. It is combination of features, price for the phone, and price for the services. You may get a great deal on the phone, but then pay a lot for the services so do your homework before you take the plunge. For more information on smart phone buying, click here. Smart phones are being purchased so quickly that in just a few more years , the gadgets will be ubiquitous. 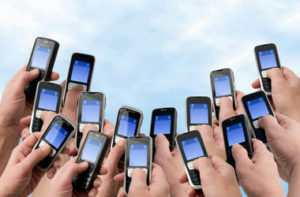 In fact smart phones have recently surpassed the purchase of non smart phones and are causing the disconnection of thousands of land lines. Many people think that by 2015, ownership of smart phones will surpass 80% in North America, matching the ownership of PC’s or desktop computers. This represents a huge market for the companies that got in early and have developed a platform to build on. There is becoming a clear distinction between smart phone use and the use of personal computers. Although most if not all PC owners will also have a smartphone as well, their uses will be quite different. Staying in touch by email, text messaging, social networking will migrate to the smartphone. Preparing documents of all types, research, etc etc will continue to be the playground of the PC. Some smart phones will cross over partially. With suitable forms type app’s, they can be used as on the job reporting devices to assist them in reporting everything from sales to reading meters. There is no doubt that there are new opportunities waiting for the folks that took the plunge in developing a smart phone as well as those that are focused on developing applications for the smart phone. Creating new business models and cash flows will definitely put some pressure on the existing incumbents as sales and cash flow come under pressure. If experts’ predictions come true, the tech world could look quite different in the next five to 10 years. Desk top PCs can be shared among multiple family members or coworkers, lap tops became more personal since you typically carried it with you to meetings and on business trips. A smart phone on the other hand is always with you and always connected, making it your personal always on always connected device. That makes it very, very personal and heralds a huge change in the way we communicate. For some users the smart phone is becoming your personal electronic wallet, your financial manager and your personal assistant that gets you to meetings etc on time and in the right place. Apps store passwords, health information, financial transactions, daily calendars, to-do lists and detailed e-mail trails, plus games and vast entertainment libraries of books, movies and music. From Cars to refrigerators, all will have a smart capability and be connected, however the smart phone will be the remote control for our digital lives. Many people will still use PCs, iPods, iPads, laptops, tablets and many more devices, but it will be the smart phone that will always be on and will be always with you! The smart phone knows where you are, constantly and that means also that thephone company or your phone provider can also find you anytime as well as long as you have your smart phone with you. That’s another watershed for the tech field. No one knows quite how that technology will play out (or pay off), but everyone wants a foothold. Twitter and Facebook recently added location-aware capabilities, and venture capitalists are throwing cash at location-based services like Foursquare and Gowalla. Google (GOOG, Fortune 500), Yelp and Groupon are diving deep into the local advertising markets. Where you are is now one of the most important — and potentially lucrative — aspects of your identity from an advertising perspective, because this information provides vendors with information about what they can advertise to whom based on location. Some devices will die off or become specialized. We will gravitate to less paper, but never eliminate paper so printers will still be needed. In fact there are people who own desktops, cameras and smart phones, but no printers already! The tech giants are competing for the smart phone and this is a giant battle that will not be soon over. Already giants like Apple, Dell and others are introducing enhancements to their phones. Even Google with Android is in the competition for space in this market. The carriers are also lining up with smart phones, however they seem to be taking a more careful approach. Rather than bet on one horse, they are introducing as many smart phones as they can to attract as many customers as they can. These carriers such as Verizon and Sprint in the US and Bell and Telus in Canada along with Rogers are competing for every minute and bit of data that can be carried on their networks. The question is, is this the beginning of a major shift in technology and the way we use these devices, or are we well along the way. Only time will tell, but you can be sure that all of the major players will be competing for your dollars in the market for some time to come. We would like to hear your opinions about this post and more specifically what you think the next big disruption is going to be in the technology field. For more information about smart phones and other items of interest, click here. Have you been looking at new wireless phone plans recently? If you have you probably already know just how complicated many of the wireless phone plans are from many of the carriers in the United States and in Canada. We recently were looking at changing our existing plan to try to save some money each month and at the same time add several features that we decided that we would want. What we found was so complicated and so difficult that we almost gave up. The telephone companies have purposely made it difficult for everyone to select economical wireless phone plans that make sense for each individual person. In this post we will discuss some of the issues that we ran into and look for your comments to help make this clearer for other readers. I have recently decided that I am just buying my own unlocked phone so that I have the freedom to do what I want and not have to deal with the phone company locked in contract issues. I have 2 years to go on my existing contract which is pretty good, but now I have a phone that does not obligate me to continue with a new 36 month contract. Read on for more tips. Our family does a lot of local and long-distance calling with our wireless phones. As a result, we thought that we should have a plan that includes airtime for local calling as well as long-distance calling for one simple rate per minute. In addition we receive a lot of incoming calls and we were looking for something that included an incoming call free rate plan. Since we have multiple phones we also wanted something that allowed for free calling between family members. The telephone companies have features that meet all of our requirements however if you purchase them on an individual basis your monthly telephone bill will be quite high. As a result we were forced into taking prepackaged plans that include features that we want as well as features that we do not care about or need. We also wanted so-called smart phone features such as call display, calling number ID, called return and voicemail. Again these features are all available individually, however there is often a better package if you purchase them as a bundle. Text messaging is very popular these days. Many more teenagers use text messaging than adults however even among young adults text messaging is becoming a common way of communicating. We have had more success in communicating with our teenagers by text messaging than we have by phoning them. 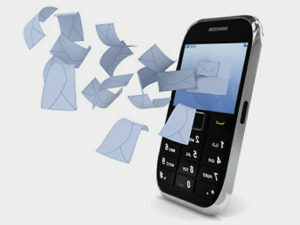 There are family plans available for text messaging providing 100 200 and 500 text messages per month. Also if there is long-distance involved, sending a text message can be much more economical than actually making a long-distance phone call. If you do not take a text message plan, the telephone companies will charge you for every text message you send as well as every text message that you receive. If your friends and family members send you a lot of text messages this can become quite expensive. A simple solution is to take the small text message plan of say 50 text messages per month, which allows you to send 50 text messages each month while at the same time receiving unlimited text messages. If you are the type of person who receives more text messages than sending text messages, then this is the plan for you. Voice mail is also important to have as part of your overall package. You cannot always answer the phone nor should you if you are in a restaurant, driving a car or otherwise busy at meetings. Having voicemail is a useful way for your callers to still leave a message. Voice mail is often integrated as a bundle with other voice features and you may want to take this into account when making a decision about purchasing voice mail. There is a right way and a wrong way to leave a voice mail message. Many people will say that so and so is calling and leave the telephone number and nothing else. This is the wrong way to leave a voice message. The person you called has no idea of what you are calling about and whether they should prepare something prior to returning your call. Leaving a detailed message of what you are calling about along with your telephone number and name is the best method to use when leaving a voice message. This way, the person you called can prepare for the return phone call and have the information you are looking for at their fingertips. Data plans are also very complicated and confusing. In order to know which data plan you should purchase, you should have some idea of the amount of data that you will download to your phone. If you have a smart phone and are planning to do a lot of Internet browsing, to do a lot of music downloading, and especially to view many music videos or video programs on your smart phone then you will need a large data plan. The telephone companies are charging a great deal for data, in fact more than they do for voice. They are trying to recoup some of their lost revenues due to the competition that voice has with all the different carriers providing service. We suggest that you be very careful in managing your data plan so that you do not go over your plan limits. This can become very expensive. In summary the first step you should take is to figure out what services you require how many text messages you will send each month what call features you would like and how much data you will need before deciding on which plan you purchase from the wireless phone companies. Data is particularly tricky, due to the large amounts of data required by video. If you feel that you will never download music videos or video programs then you can safely go with a smaller data plan however if you plan to download video and watch programs etc. then you should probably opt for a larger data plan. Your comments will be much appreciated on this post. For more information about smart phones and plans, click here. We will be reviewing a variety of cellular phones on this web site. We are started with the Apple I-Phone, which is the current leader of the pack and in this post we will review the Google Nexus One Phone. What follows is an excerpt from TechCrunch Reviews written by Michael Arrington on Jan 5th, 2010. We have added the detailed specs as provided by Google following the summary. Your comments are welcome. 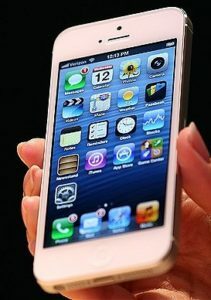 The phone looks more like the iPhone than any other phone on the market. There is no physical keyboard like the Android-powered Motorola Droid, and the trade off is a much slimmer design. 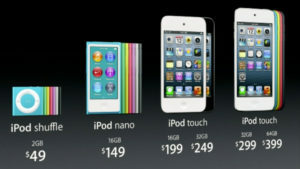 The phone is 11.5 mm deep, slightly thinner than the iPhone 3GS at 12.3 mm. 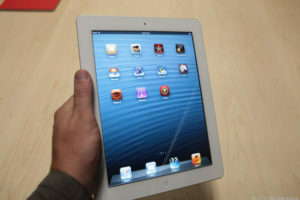 It is also slightly lighter than the iPhone 130 grams v. 135 grams). The package comes with the phone, a removable battery, 4 GB Micro SD storage card (expandable to 32 GB), USB charger and microphone headset. For more about Smart phones, click here.